Sometimes all we need is a simple story, like a cool breeze on a hot day or a beautiful sequence of chords, to make us feel more human. I always remember that smile in a moment like this―that silly uncompromising smile that precedes the laughter. I was a boy, about 12 years old, and I was upset because I had just fell off my bike and my faithful ride had turned into a terrible villain. Alice was laughing so hard her belly hurt. She had seen me falling and started making fun of me. I could do little but pout. “Stop laughing already!” I said as angrily and threatening as I could. She stopped herself for a minute and stared at me. Then she burst out laughing again. The challenge was launched and I was well aware of what would follow. Back then, it was actually easy, 'cause all girls were stupid, stuck up, and didn't know any better. We started arguing, “You're this!” “You're that!” “I dare you!” Dispute. Challenge. We got on our bikes and rode all the way up the hill, since neither of us dared to go up pushing the bike. Stubbornness always conquers common sense. We exchanged some last insults. We went down the hill as fast as we could. Tension. Raw emotions. That determined look on our faces. We were side by side. “Man, that girl is really good, isn't she?” I thought. The collision came when we were almost at the finish line. Two kids flying. To bikes on the ground. Not again! For the second time in a row my chrome horse had thrown me on the ground. I got up ready to start cussing. I don't know how it happened, but I'm sure it was her fault. I went toward her, but she started crying before I could say anything. She wasn't making a scene like most girls. She was crying silently, so I thought she was probably really hurt. She looked at me with tears in her eyes. She expected me to take advantage of her weakness and execute my vengeance. Oddly enough, I only wanted to protect her. She wasn't crying as much, but I was still concerned, looking at the bikes all tangled on the ground. “Our bikes are kissing each other,” I said. She looked around and smiled. Her crying turned into laughter as I helped her up. We were walking and holding one other. She was limping a little, but it would all be okay tomorrow. She needed me at that moment. We got to her gate and her mother came toward us, looking worried. “I'm okay,” Alice quickly said, trying to calm her down. “I'll go get the bikes now,” I told her. She nodded and smiled. I felt my legs tingling and my heart was racing. “She's so pretty,” I thought. I tried to shake it off and happily hurried to go get the bikes. To this day, every time I need to smile, I think about the bikes all tangled up on the ground and how they taught me about love. Paulo Carvalho is an actor and majored in Arts at Faculdade Paulista. He works at Cia. Stromboli puppet theater. He has also organized a collective art exhibit called Projeto 8. 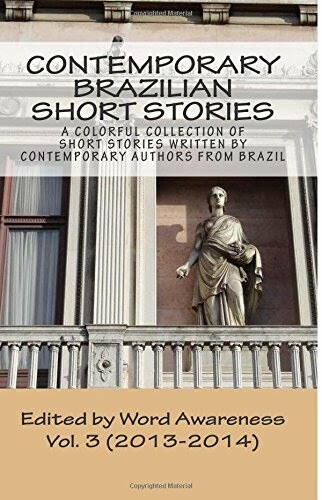 He writes short stories and has published a book entitled Contos da Borda do Rio [Tales from the River Bank].